Seier Shades Saloon - We are the leading Salon that specialize in Multi Ethnic & Afro hair in Dubai. We are your one stop shop for Afro hair products as well as weaves human hair, Indian & Brazilian hair extensions. Seier Shades Salon is a full-service beauty salon recognized as a specialist salon, offering professional and expert Afro and mixed race or multi textured hairdressing and beauty treatments. The salon is dedicated to consistently provide high customer satisfaction by rendering excellent service, quality products, and furnishing an enjoyable atmosphere. 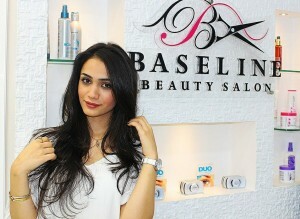 Frennie Seier founded the salon on Valentine’s Day of 2000 in Al Barsha 1, Dubai. The desire, passion and vision of Seier Shades Salon has created what many believe to be a beauty destination with experienced beauty and hair experts. Seier Shades Salon offers first class customer service. Client Commitment is based on meeting expectations every time. Seier Shades Salon respects diversity and maintains a friendly, hygienic and creative environment. 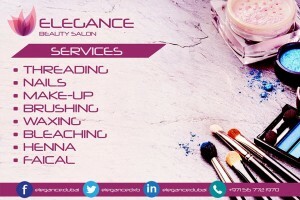 Their motto is to provide services and products that enhance client’s physical appearance and mental relaxation. They listen to their clients and offer you expert knowledge, honest opinion and ultimately a service to fall in love with. Beauticians and hair stylists have a reputation for providing superior personal service at Seier Shades Salon. Highly trained in hair care including hair treatments, straightening afro hair, softening afro curls and relaxing afro or multi-textured hair, they can transform hair styles with weaves and extensions. The staff is also trained to work with little and young girls. Seier Shades Salon offers a range of carefully selected hair, skincare, beauty and make up services. Special packages are regularly available at the salon – these include seasonal beauty and hair packages, for mothers and daughter packages; monthly beauty and hair packages and bespoke beauty packages for clients. Seier Shades Salon also offers pre-wedding bridal packages customized to personal requirements. They are able to provide a thorough consultation with recommendations for skin types. Seier Shades Salon offers complete wedding services including bridal hair and make up services as well as hair and make up for the mother of the bride, sister of the bride, brides maids and maids of honour.